Sciatica is commonly referred to any pain that radiates along the path of the sciatic nerve. The sciatic nerve is an extremely long nerve that starts in the lower back and goes down the leg past the knee. Sciatica will typically only affect 1 side of the body. If the body’s spinal canal narrows, it can cause sciatica pain. This condition is known as lumbar spinal stenosis. If the vertebrae suffers a fracture, it can shift forward and on top of another vertebrae, causing sciatic pain. This condition is known as spondylolisthesis. If the spinal discs breakdown, the cushion they normally provide between the vertebrae will be lost and can cause sciatic pain. This condition is known as degenerative disc disease. If the vertebrae moves to the outer area of the spine, it can cause sciatic pain. This condition may be due to a herniated lumbar disc which is also known as a bulging disc, pinched nerve, or a slipped disc. If the lumbar spine receives increased pressure due to pregnancy, it can cause sciatic pain. What are common symptoms of sciatica? What are some common risks with sciatica? Age is often the most common risk factor with sciatica. As we get older compression of the nerves becomes more and more common. Obesity causes increased stress on your spine which can cause increased compression of nerves. Occupation is a risk factor and jobs that require heavy lifting or lifting and twisting. Prolonged sitting or driving are also risk factors for sciatica. Diabetes is also a risk factor as diabetes has been shown to cause increased nerve damage. What can you do to prevent sciatica treatment Chicago, IL? Regular exercise including core strengthening may help prevent sciatica treatment Chicago, IL. Maintaining good posture while sitting which means having back support and keeping your knees and hips level. Using good body mechanics while lifting may help prevent sciatica treatment Chicago, IL. What are common sciatica treatment Chicago, IL? Proper diagnostic imaging can be utilized in sciatica treatment Chicago, IL. Different imaging studies such are X-Ray, CT (Computerized Tomography) scan, MRI (Magnetic Resonance Imaging) and EMG (Electromyograph) can all play a role in diagnosing the cause of your sciatica. Finding the right cause of the nerve compression will affect the sciatica treatment Chicago, IL. Traditional medical sciatica treatment Chicago, IL includes the following medications: anti-inflammatories, muscle relaxers, narcotics, and even anti-depressants. Traditional treatments may also include physical therapy and/or steroid injections. In rare instances surgery is even recommended for sciatica treatment Chicago, IL. What is involved in sciatica treatment in Chicago, IL? Sciatica treatment offered by our acupuncturist at Taylor Rehabilitation and Wellness Center in Chicago, IL is an effective pain reliever for those suffering from this often misunderstood condition. Our healthcare providers believe in the power of the human body to heal itself without invasive and risky invasive surgery under many circumstances. Sciatic pain can be debilitating, making it challenging for the sufferer to be productive at work or enjoy life. We welcome you to contact us and learn more about how our highly trained staff of professionals can provide you with the pain relief you need. If you would like to know more about the sciatica treatment our acupuncturist offers, contact our Chicago, IL office today to schedule an appointment. How is your sciatica treatment Chicago, IL different from traditional medical treatment? In our clinic we utilize spinal decompression therapy which allow us to specifically target the root cause of the sciatica. Compression of the spinal nerves is what is causing the sciatica. Our sciatica treatment Chicago, IL is different because we do not provide any medication to treat the condition. We utilize a specific FDA cleared medical device to cause negative pressure within the spinal disc allowing nutrients, oxygen and blood to get sucked back into the disc allowing the body to naturally repair itself. Our clinic will also use other FDA cleared medical devices to alleviate pain and provide sciatica treatment Chicago, IL. Nutrition will also play a role in sciatic treatment Chicago, IL as may people with sciatica have risk factors such as obesity and diabetes. How do you know which sciatica treatment Chicago, IL is right for me? The first step is always to find the exact cause of your sciatica. The reason for the nerve compression is extremely importing to getting the best sciatica treatment Chicago, IL. After having the proper diagnosis and diagnostic images performed, it is best to sit down with your doctor to discuss both traditional medical and non-traditional treatments for your sciatica. Are you are looking for the best sciatica treatment Chicago, IL? No doctor can or should make the statement that he/she is the best sciatica treatment Chicago, IL. The term “best” is highly subjective. However, Michael Taylor, DC has been practicing in Chicago, IL for the past 19+ years. We have treated patients from every walk of life from young teenage athletes to the elderly. 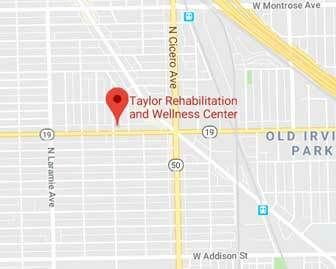 Do Dr. Taylor and his staff provide the best sciatica treatment Chicago, IL? That is for you to decide! But check out our page and learn more about who we are. Remember don’t let yourself, friend or family member suffer unnecessarily and get the sciatica treatment Chicago, IL they need. Taylor Rehabilitation offers state of the art, FDA cleared services that are of the cutting edge of pain relief. From your initial consultation to final evaluation, Dr. Taylor and his skilled team will provide you with the results that you deserve! Contact us today at 773-725-5835 to see how we can best help you and your sciatica!